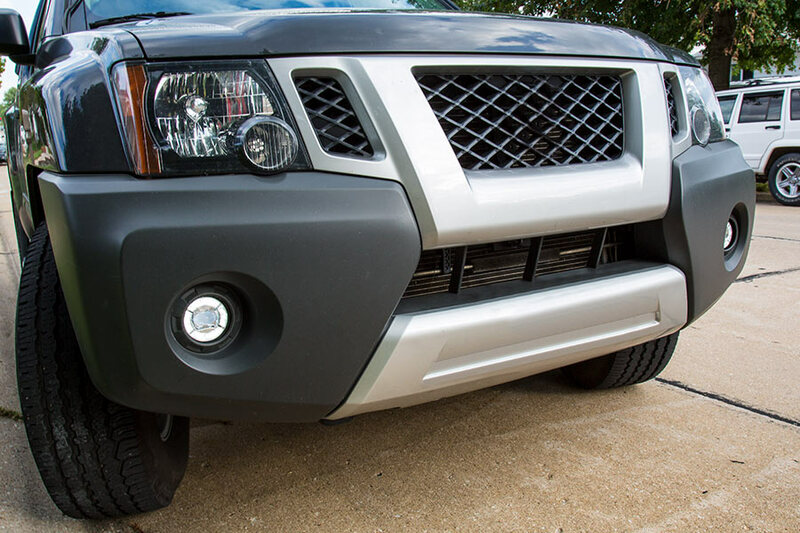 3-1/2" LED Projector Fog Lights Conversion Kit w/ Halo Daytime Running Lights: Aimed at Target 20 Feet Away. 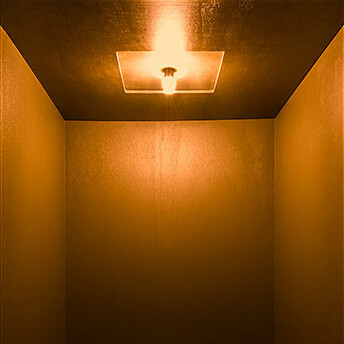 Light Placed 20 Inches Above Ground, Taken at Driver's Perspective. 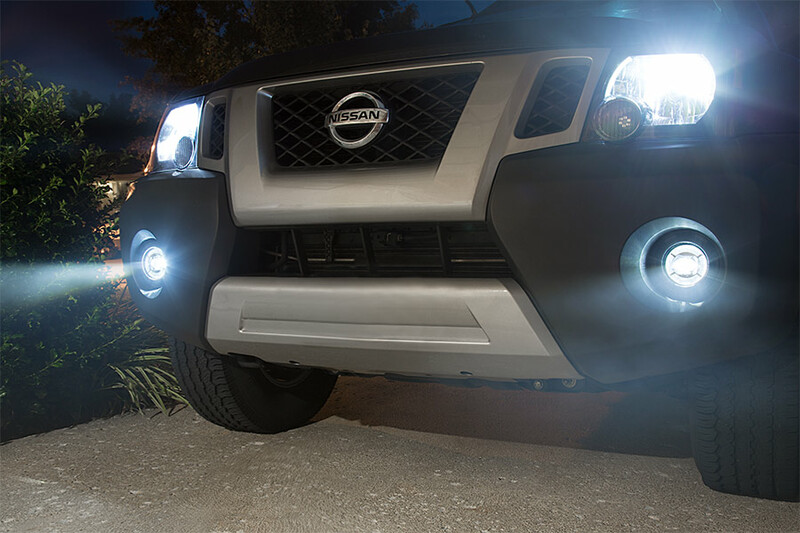 Upgrade your vehicle's factory fog lamps with this round LED Projector Fog Light Conversion Kit. 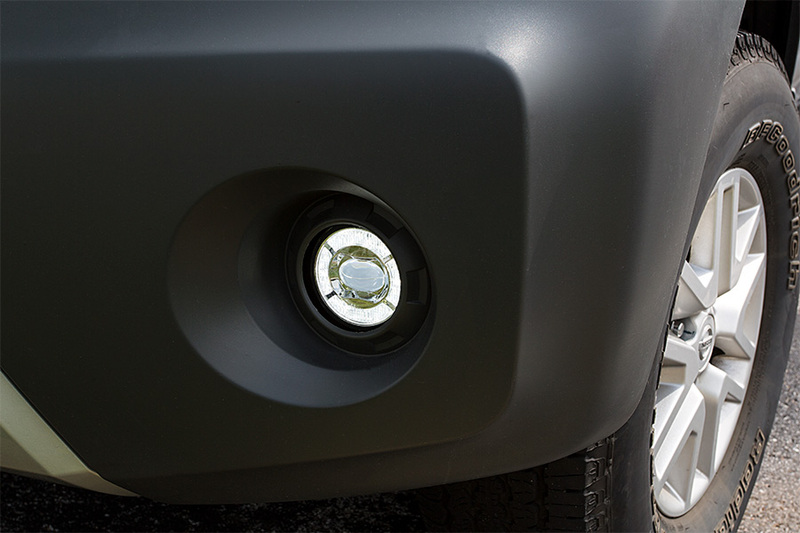 The 3-1/2" DOT-approved LED fog lights are designed to fit select vehicle makes and models, such as Chrysler, Jeep, and Dodge. 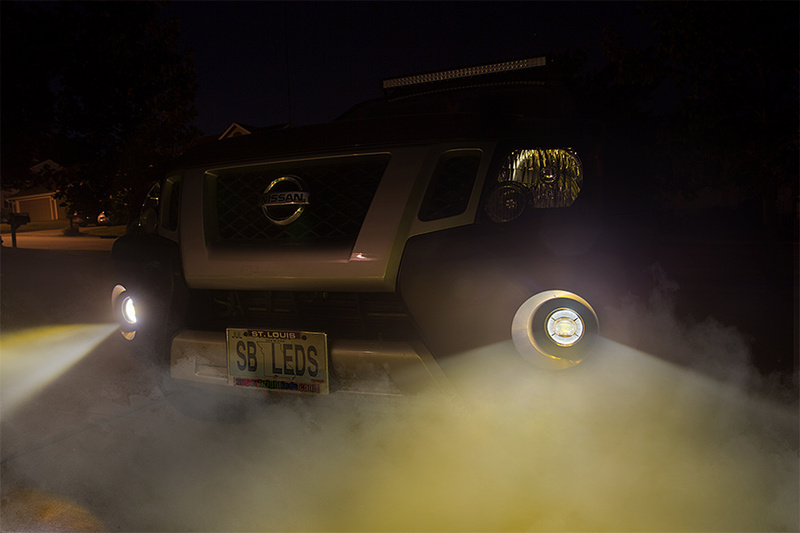 Each multifunction fog light is equipped with a center projector lens that emits either 500 lumens of cool white illumination or 230 lumens of amber illumination. 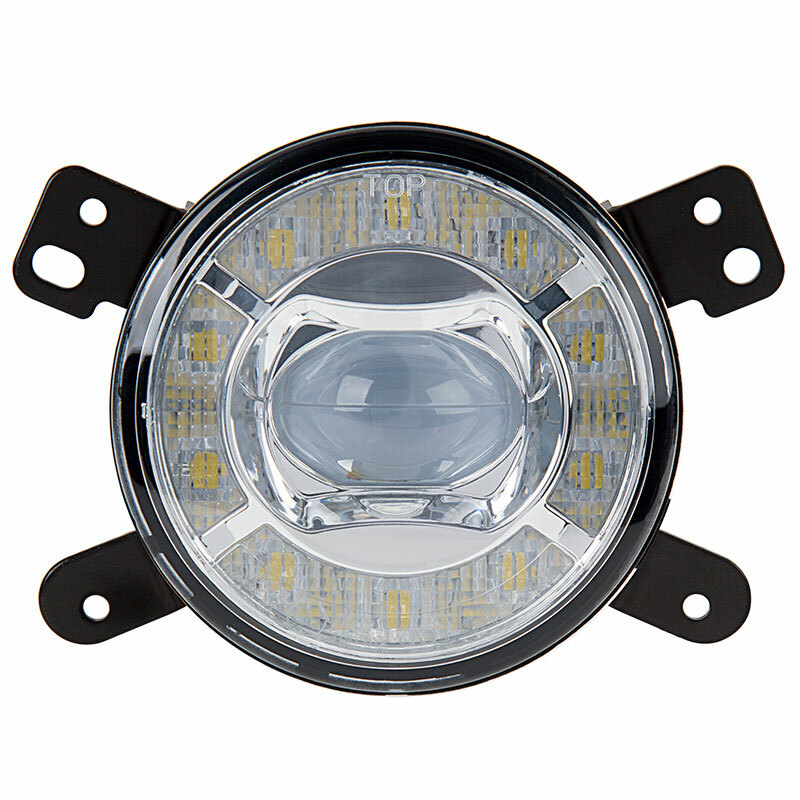 An outer LED halo functions as a daytime running light with an output of 245 lumens. 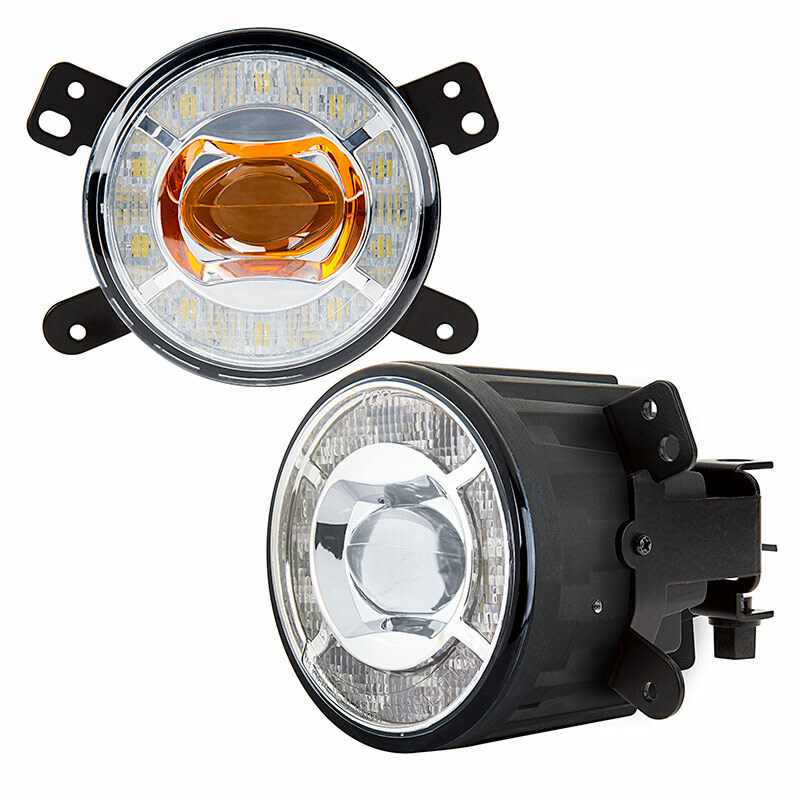 The heavy-duty, waterproof LED fog lights are constructed of shatterproof polycarbonate lenses and magnesium alloy housings that act as LED-cooling heat sinks. 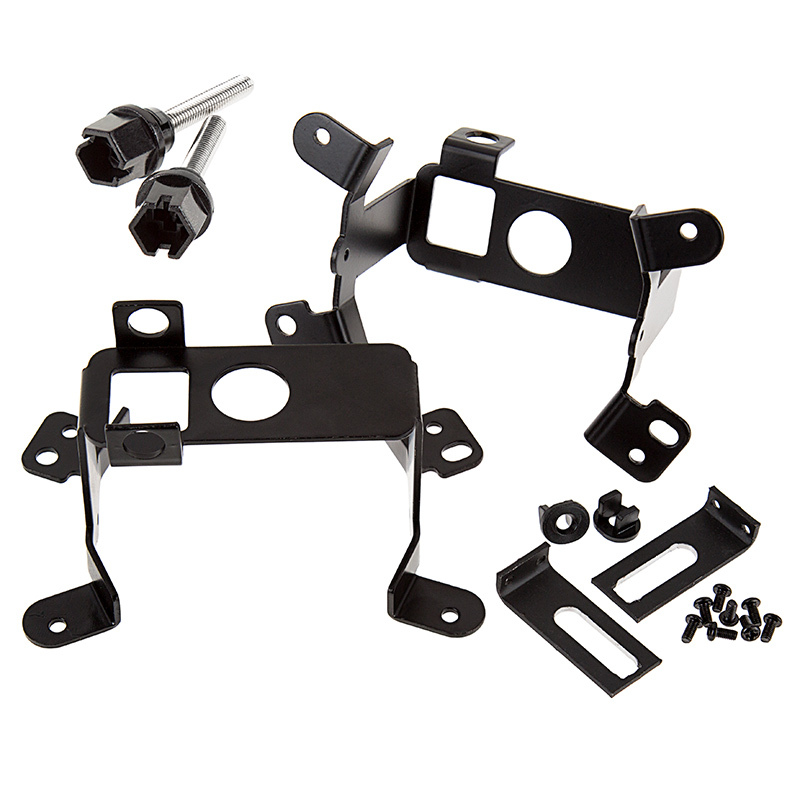 Separate pigtail connectors allow for use as fog lights and daytime running lights, and a bracket is included with each light for vehicle-specific installation. 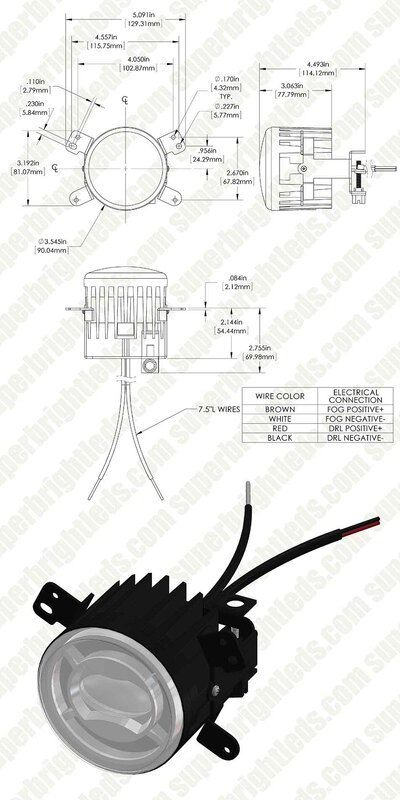 Operates within a wide 10-30 VDC range. Sold as a pair. 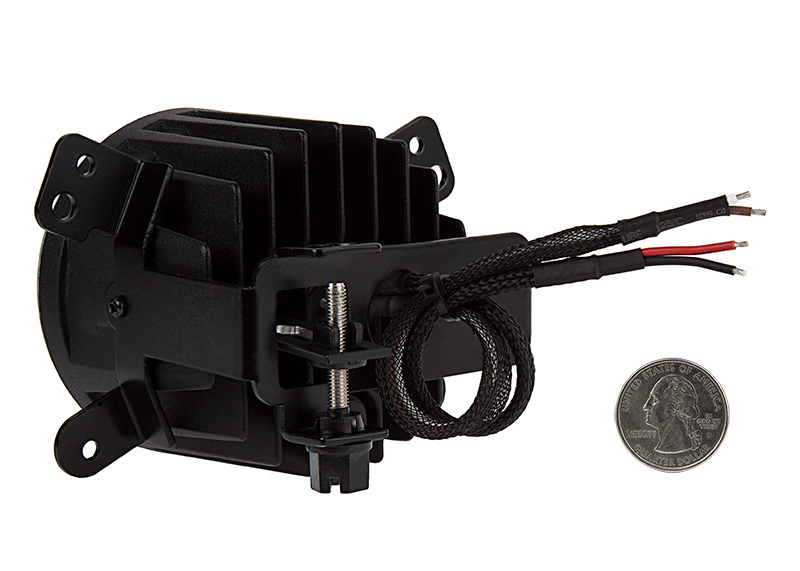 Bought these for my ‘09 JK JeepWrangler. The lights are robust units that project nice, clear LED beams. 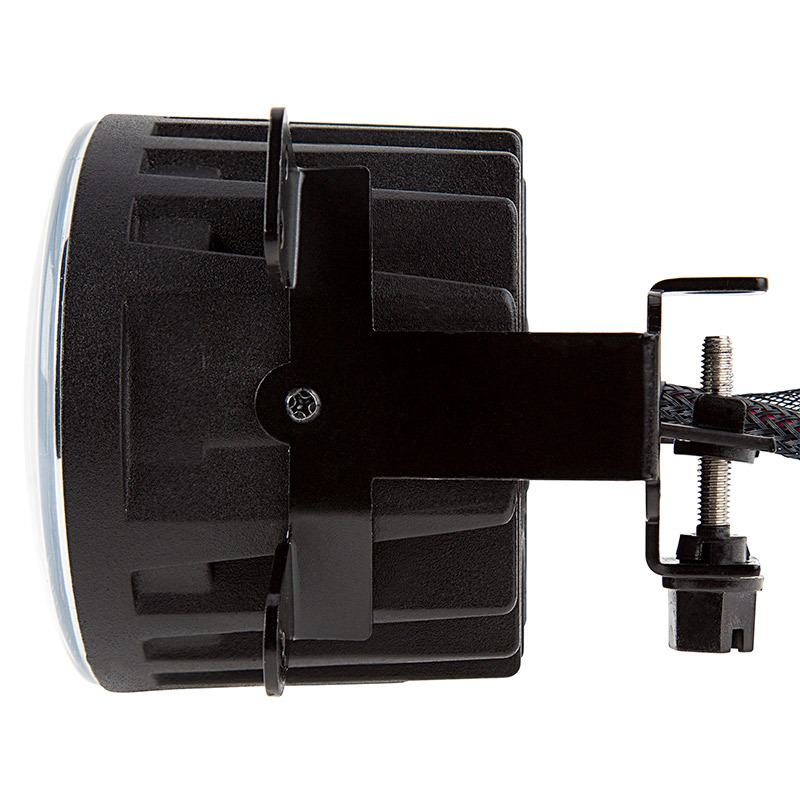 However, the mounting brackets DO NOT fit, so these are NOT direct bolt-Ins. You will have to modify them with bending the tabs straight and redrilling holes on new centers if you intend to use OEM mounts. SBL gave me replacement parts to help me do this. 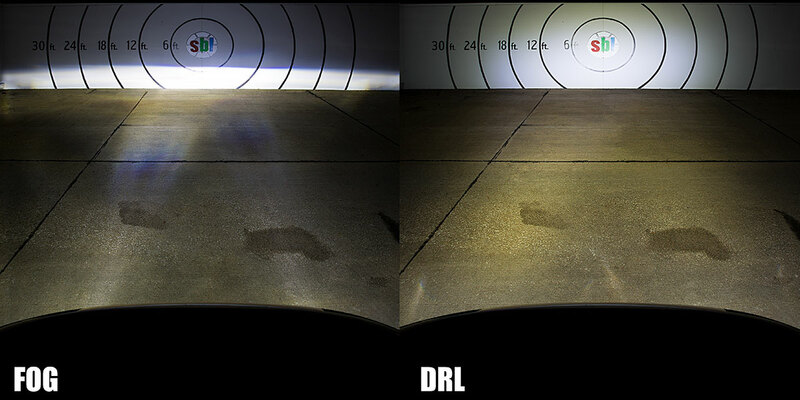 Based on their photos, but it doesn’t look like SBL has updated the design to be true replacements. BE READY TO DO SOME WORK - not for beginners. 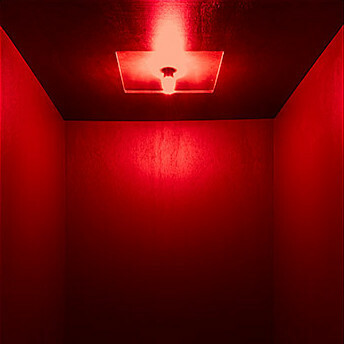 I bought these lamps for my wife's 2012 Chrysler 200, to replace some ultraviolet light strips that I had installed recently. And while attempting to install I found out they were not an exact fit as SBL had stated. However I had looked at the mounting location and knew they could be made to fit with a bit of grinding and cutting of the plastic mount. I am glad I did not decide to send them back! They look awesome on the car and really give the car a whole new look to the front end. 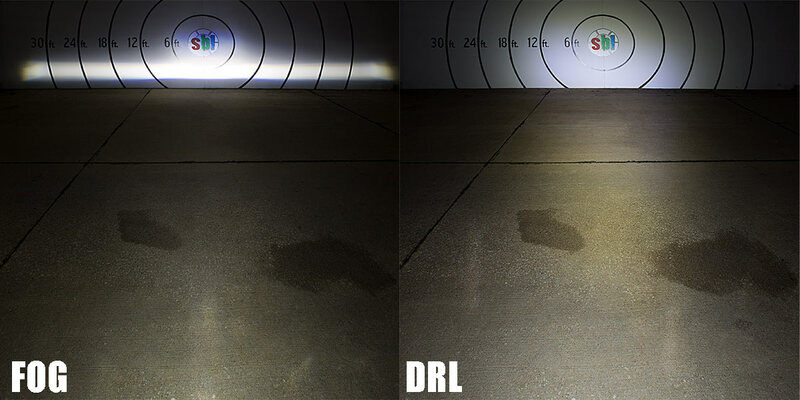 While looks are important, function makes the car safer and seen when using the ultra bright halo DRL's! 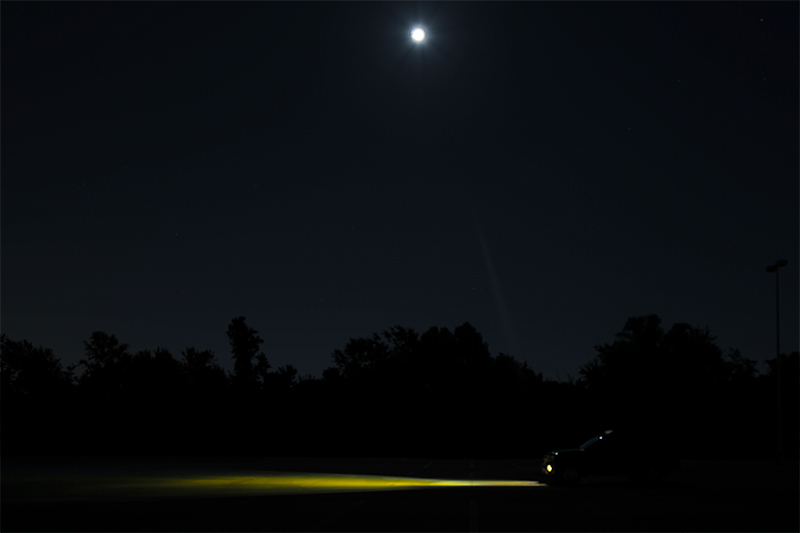 When I click on the fog lights, wow it's a new car. This car never had fog lights from the factory and all that extra light on the ground in front of the car really makes driving in heavy NYS fog & snow a safer trip! I'll add pics soon.